James O. Woodruff, son of Harmon Woodruff, a successful Auburn Merchant, joined many of the young men of Auburn, being recruited by TJ Kennedy as a 2nd Lieutenant in the Independent Artillery Battery. The leadership of the battery was passed from Kennedy to Andrew Cowan and gained much fame during the war as Cowan's Battery. Following the war, James lived for a time in Indianapolis, Indiana. He was a civil engineer overseeing the construction of the Indianapolis water works. He acquired and developed an area outside the boundaries of Indianapolis and planned community with wide boulevards, fountains and statuary and urns. The plan was laid out by Woodruff in 1872/73. Few lots were developed during the first few years. Lots were sometimes sold many before anything was built. The financial panic of 1873 didn't help the situation. 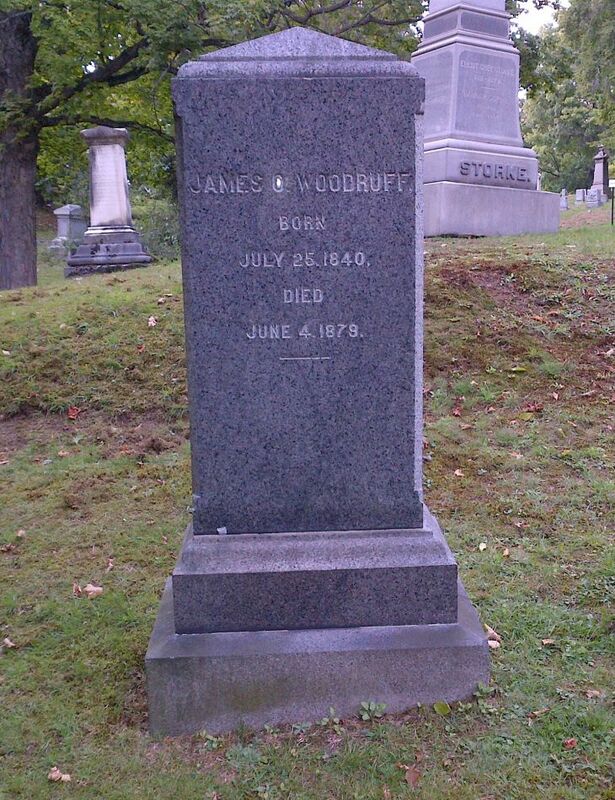 Woodruff never saw his plan fully carried out because of his untimely death in New York City in 1879 from brain fever (most likely encephalitis or meningitis). The development started to really take hold in the 1880's. 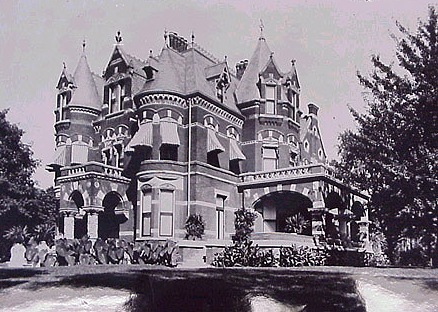 Woodruff Place was an incorporated town until the city of Indianapolis surrounded and swallowed up the neighborhood. It was annexed by Indianapolis in 1962. The novel and movie "The Magnificent Ambersons" written by Booth Tarkington was inspired by the place where Tarkington lived in Indianapolis, Indiana, namely Woodruff Place. So, next time you read this novel or see the movie think of Auburnian James O. Woodruff. Late in his short life, while recuperating in Florida, he developed his second grand plan. That was to establish a floating university that would travel around the world studying places and cultures. Written up in most of the major newspapers of the day it was known as the Woodruff Scientific Expedition. His first obstacle was to buy a ship for the expedition. In order to buy a foreign made vessel that the expedition could afford he went up against the American shipbuilding monopoly to get the laws changed. This accomplished he then was met with one financial obstacle after another, passing away before this dream could become a reality. His Indianapolis project and his floating university were never to be seen by this man of foresight. Neither was accomplished during his lifetime, but both have a place in today's world. 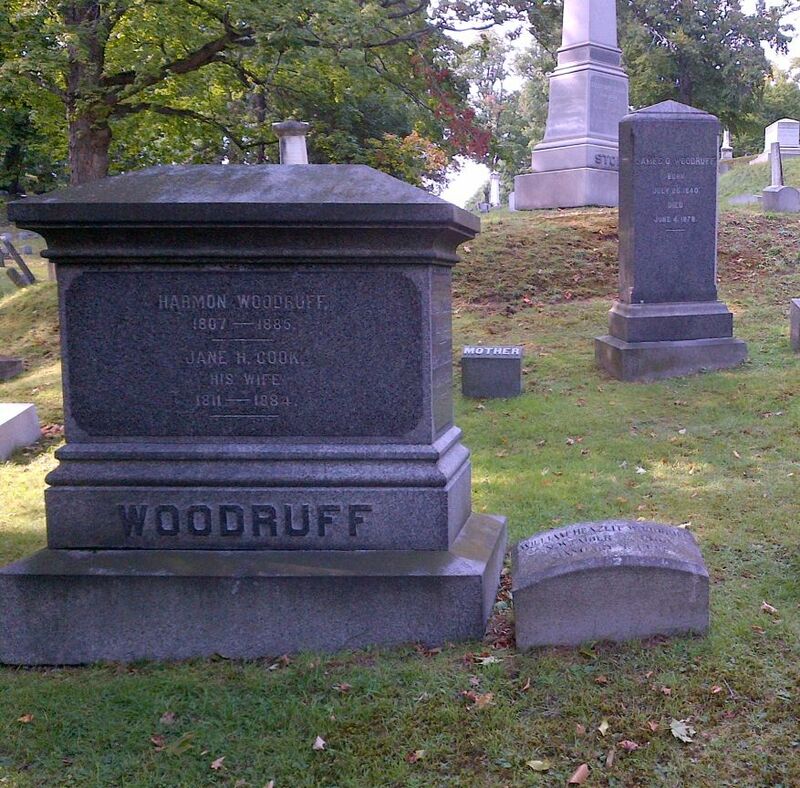 The Woodruff lot is located in the Glen Cove section of the Cemetery.